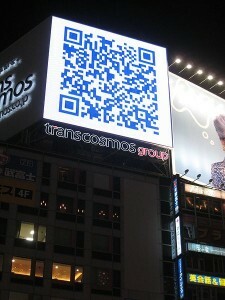 QR (Quick Response) codes are those two dimensional barcodes that you will see cropping up all over the place. They are quirky, fun and very useful, best of all they are free and people with smart phones love them. What happens is when someone with a smart phone scans them they immediately see the information hidden within the code which in this case is a link to my website. Great for printing on laminate posters, T shirts, posters in windows etc. 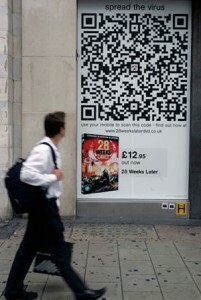 If you are using QR codes then you had better make sure your website is optimized for mobiles! Due to the popularity of social media, your QR codes can be attached to your web pages or social media profiles such as Facebook. That way, users can scan through the code and be directed to the information you want to get across.